Featuring a sun terrace and a sauna, this five-bedroom villa includes a kitchenette, dining area and elegant living space with plush sofas, flat-screen satellite TV and DVD player. Each air-conditioned bedroom has a personal safe and an en suite bathroom with free bath amenities. 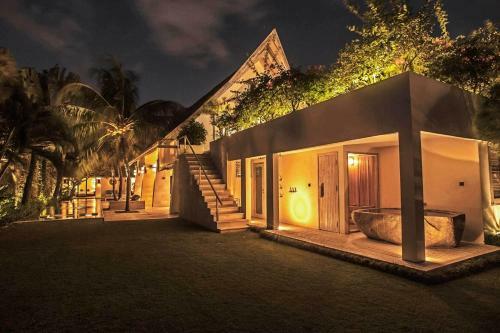 Casa Mateo offers a luxurious retreat 5 minutes' drive from Petitenget Beach. The elegant villa boasts a private pool, sun terrace and a sauna. Guests enjoy free return airport transfers and free Wi-Fi access. 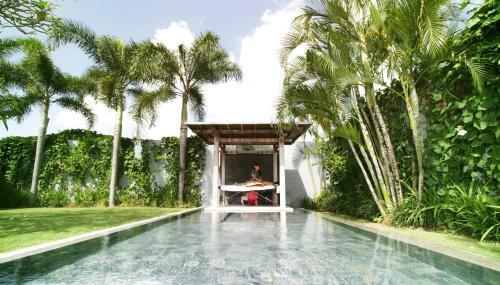 A 10-minute drive from Canggu Club, Casa Mateo is a 30-minute drive from Ngurah Rai International Airport. The spacious villa is tastefully appointed with ample living and dining area with plush sofas, flat-screen satellite TV and DVD player. Each air-conditioned bedroom includes a personal safe and an en suite bathroom with free bath amenities. Barbecue facilities, business centre and soothing in-villa massages are offered. Guests also enjoy the convenience of on-site laundry, babysitting and car rental services. Staff can assist with grocery deliveries upon request. Available at an additional charge, the in-villa dining service is provided by the in-house chef, offering an extensive menu of both Eastern and Western delights.